I will be joining East China Normal University  (ECNU) as an Associate Professor in the newly formed School of Data Science and Engineering in Shanghai, China. 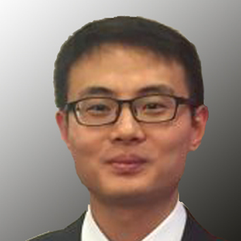 Chen Xu is currently an associate professor in the newly formed School of Data Science and Engineering at East China Normal University in Shanghai. Most recently he was doing postdoctoral research with Prof. Dr. Volker Markl  at Database Systems and Information Management (DIMA) Group , Technische Universität Berlin , as a senior research associate supported by Berlin Big Data Center (BBDC)  project. Chen got his PhD degree in 2014 from Institute for Data Sciences and Engineering , East China Normal University , supervised by Prof. Aoying Zhou  and also worked with A/Prof. Minqi Zhou . From Nov 2011 to Jan 2012, Chen severed at ECNU-MediaV  Joint Lab of Computational Advertising as a research intern. From April to July in 2011, Chen studied as a visiting student at Data & Knowledge Engineering (DKE) Group , The University of Queensland , hosted by Prof. Xiaofang Zhou  and Dr. Mohamed A. Sharaf . In 2009, Chen received the Bachelor Degree from Department of Computer Science & Technology, Hefei University of Technology . His research interest is large-scale data management.